The Honda Odyssey was first introduced in 1994 in the wake of Japan’s recession of the early 1990s, allowing the Japanese automaker to quickly become a contender in the world of the minivan. 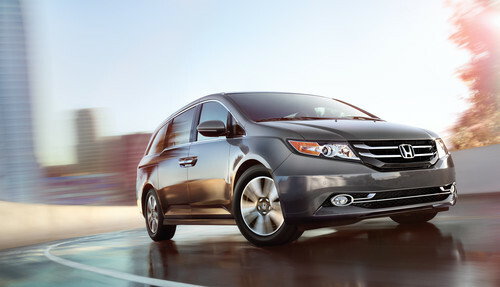 Since its introduction, the Odyssey has continuously helped Honda become a household name across the globe with steady sales increases throughout the years. When the Odyssey entered production at the Honda Sayama Factory in Sayama, Japan, it became the first minivan the Japanese carmaker had ever produced. With the third generation, Honda introduced its ACE body engineering, which it later used on the eighth generation Civic. While the first Odyssey was offered with only two trim levels—LX and EX—consumers now have five trim levels to choose from with the LX, EX, EX-L, the Touring, and the Touring Elite. The SE trim is also offered in Canada. As the fourth generation hits the market, Honda has upped its game with a “cool” box chilled by the air conditioning and a plethora of new technologies.